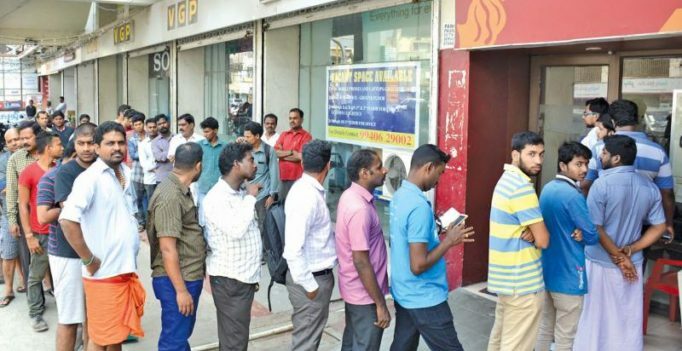 New Delhi: Banks including HDFC Bank, ICICI Bank and Axis Bank on Wednesday began charging a minimum amount of Rs 150 per transaction for cash deposits and withdrawals beyond four free transactions in a month. The charges would apply to savings as well as salary accounts effective from today, leading private sector player HDFC Bank said in a circular. ATM intercharge charges have also been re-introduced. At Axis Bank, the first five transactions or Rs 10 lakhs of cash deposits or withdrawals would be free and charged at Rs 5 per thousand rupees or Rs 150, whichever is higher.